John Arundel Radford was baptised in Lapford in 1799 by his father William, who was Rector of both Lapford and Nymet Rowland. He was educated at Blundell’s School in Tiverton and St Alban Hall (now part of Merton College) in Oxford. After graduating BA, he was ordained in Exeter Cathedral in 1823. In 1824 he married Thomasine Dawson, in her home town of Ashton on Trent in Derbyshire. On the death of his father in 1825, J A Radford was appointed to the livings of Lapford and Nymet Rowland. From the start he was in debt – inherited from his father - and hounded by his creditors, mainly local farmers. From about 1831 Radford often lived away from the parish, sometimes in Wales where he worked as a labourer. In 1834 the living was sequestered, i.e. the income from tithes was diverted to the creditors. At times he was afraid to show his face in the parish and was disguised even when meeting his solicitors. In December 1831, a curate, Rev John Sparke Cookesley was appointed to run Lapford parish, that is until he was found dead in bed in the parsonage aged 26 in 1834. 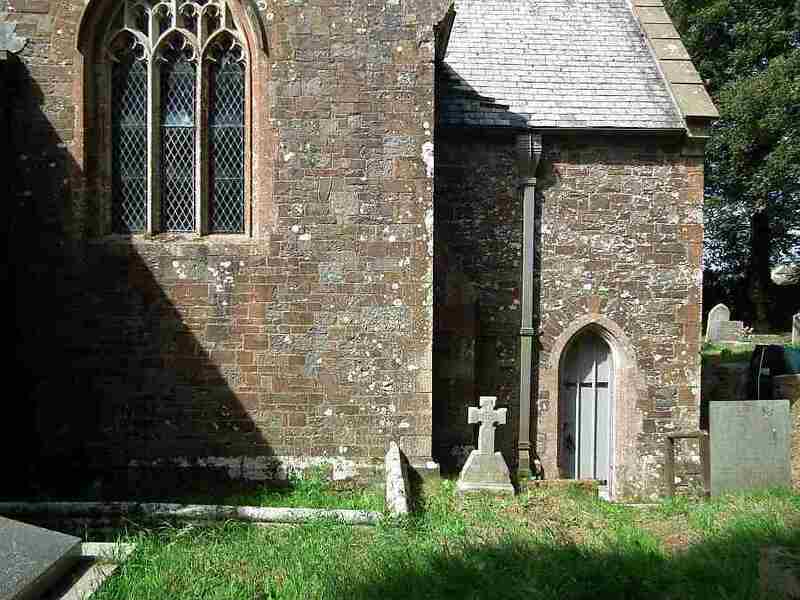 In 1835 Rev Radford was arrested on suspicion of the murder of farmer Jonathon May at Moretonhampstead, and gave a false name to the magistrates. Between 1826 and 1847 he had at least 14 children. In November 1837, he resigned from the living at Nymet Rowland, where he was succeeded by Rev Charles Rookes of Exeter. It is probable that the appointment of Rookes was irregular. However Radford retained the Lapford living. In 1839 he was successfully sued by a wine merchant in Exeter for £8. "John Arundel Radford, late of Lapford, heretofore of Northcoombe, Bratton Clovelly, previously of Okley Cottage, Lidford, previously of Haven Banks Inn, Saint Thomas the Apostle, all in Devonshire, previously of Groves-end, near Swansea, Glamorganshire, previously of Tunryvl, Glamorganshire, previously of Ustraddyvodg, Glamorganshire, previously of Llantrissart, Glamorganshire before that of Lapford, Clerk." In August 1846 he was remanded for attacking a turnpike gate keeper with a knife; as he was unable to get sureties he was jailed for a month. He was described in the press as a ruffian, and Bishop Phillpotts was criticised for taking no action. In 1849 he was sued by his housekeeper over non-payment of her wages, and in 1850 twice for non-payment of bills. In December 1850 he was fined for trespassing and poaching in Witheridge. In 1851 he published an advert warning that he would not be liable for wife’s debts, although they were separated at that stage; she was living with her family in Derby. In 1852 there was an auction of his "noted pack of beagles, 3 hogs heads of prime cider etc" to pay off creditors. 1855 saw him jailed for a month for assaulting the Parish Constable who was assisting the bailiff to serve him a summons. He had refused to pay the fine of £4 5s. "The Reverend Ruffian" as he was referred to in the press, died in Lapford in 1861, and his widow survived him by nine years. They are both buried in the churchyard at Lapford, next to the Radford family grave. There are no male descendants carrying the family name. 1) Ann Radford. 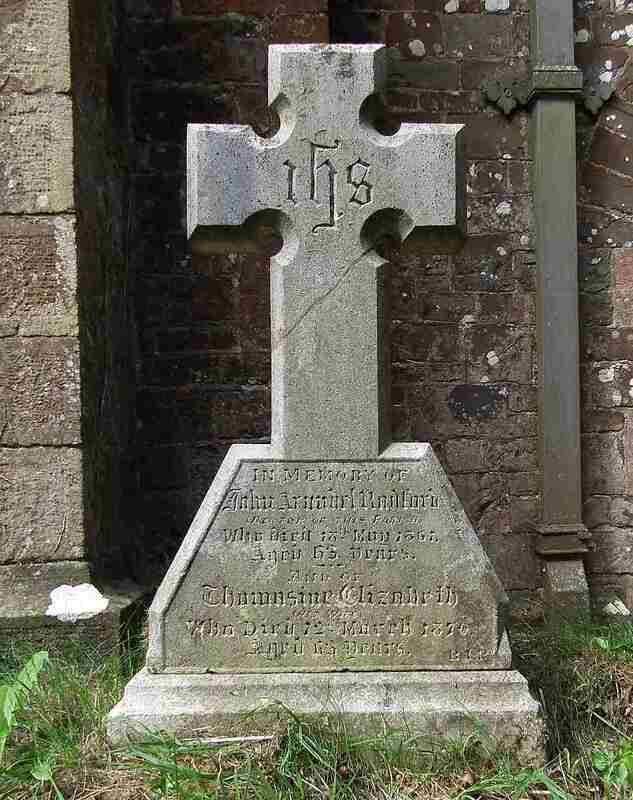 Died "an infant" at Lapford in 1830. 2) Susannah Turner Radford (b 1826). She had been a children's governess in Melbourne, Derbyshire. She boarded the Dalhousie at Gravesend in October 1853, for a voyage to Sydney. On the way to pick up more passengers at Plymouth, the ship sank in a storm 16 miles out from Beachy Head. 10 passengers, including Susannah, and about 50 crew lost their lives. There was only one survivor. 3) John Wootton Radford (b 1827). He died in Scutari, Turkey, of diarrhoea in January 1855. Florence Nightingale was working at the hospital in Scutari at that time. 4) Prestwood Johanna Radford (b 1828). Also a governess, she emigrated to New South Wales in the late 1860s. She died unmarried in 1904 near Sydney. 5) Catherine Ann Radford (b 1830). Was a governess with her sister Frances in a small girls' boarding school in Barnstaple where in 1865 she married another teacher, Richard Reed. Later they moved to Launceston where he was headmaster of the Horwell Endowed School for Boys. They had two sons. She died in 1889. 6) Mary Jane Radford (b 1833). She was staying with her maternal grandmother in Derbyshire where she married local farmer Robert Stansby in 1862. She died a couple of months after giving birth to twin sons in 1870. 7) Harriet Madeline Radford (b 1835). Married Devon farmer George Guard in Belper, Derbyshire, and moved back to Chittlehampton in Devon. She was widowed in 1879 and died at Henley, Oxfordshire in 1913. 8) Elizabeth Adelaide Radford (b 1836). She never married and often lived with her brothers or sisters. When her sister Mary Jane died she became housekeeper to her widower, Robert Stansby. She died in Exeter in 1923. William was selected in March 1848. In 1861 he was a clerk in a brewery in Repton, Derbyshire. 10) Frances Isabella Radford (b 1840.) She assisted her sister Catherine at her school in Barnstaple. She was then a teacher in Derbyshire where in 1864, she married James Bown Hopkinson . She was widowed in 1899. In 1912 she emigrated to Canada to be with her daughter. She died there in 1926, aged 87. 11) Rebecca Fosbrook Radford (b 1842). She emigrated to Queensland where she died near Brisbane, unmarried, in 1932 aged 89. 12) Thomasine Martha Radford (b1844). She went to Queensland in her early twenties where she married doctor’s son Frankum Martin Merrett (1843-1894) in 1872. She died aged 91 in 1934 in Brisbane. This strange advertisement announced her wedding in the Australian papers. Thomasine did have ancestors named Legassicke, Pearse and Lane (of Sandford), but none of the names she mentions were her grandparents, nor were any of her relatives titled. 13) Benjamin Pearse Radford (b 1846). Became a grazier (sheep farmer) in New South Wales. He married Maria Agnes, daughter of wealthy grazier William Coventry in 1885 in Armidale NSW. He died in Tamworth, North of Sydney in 1922. Their only son, Kenneth Coventry Radford, was a lieutenant in the 7th Field Artillery Brigade when he was killed during the Battle of Hébuterne in France, 1 April 1918, aged 30. 14) Penrose Joseph Radford (b 1847). 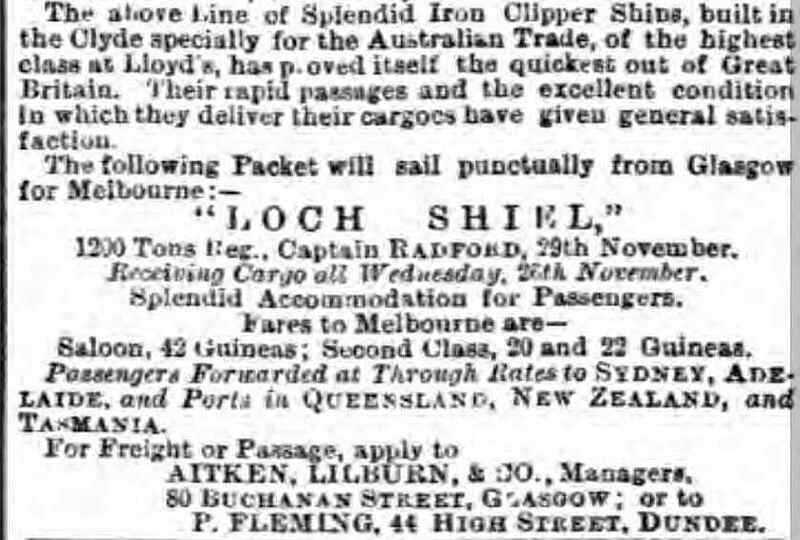 He was a mariner and worked his way up to be a Captain, commanding many voyages between Glasgow and Australia between 1887 and 1907. He married Margaret Pain (nee Drumlin) in 1880. She died in 1908. He was living in Queensland at the time of his death in 1913. His sisters Rebecca and Thomasine share his grave.